It's finally here. 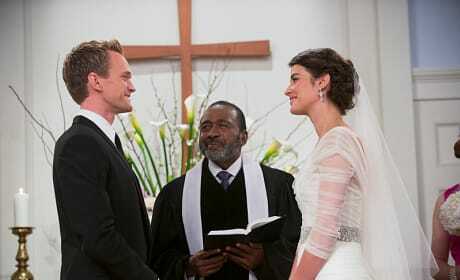 Robin and Barney are ready to get married on How I Met Your Mother. Up top! Marshall and Lily share a high-five, much to Barney's chagrin, in this How I Met Your Mother scene. 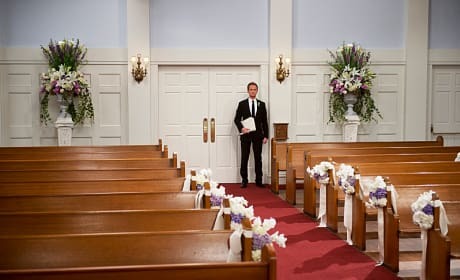 Barney is about to get married on How I Met Your Mother. So why does Marshall look so scared? Here comes the bride, everyone! Take a look at Robin on her big day. Doesn't everyone look beautiful? 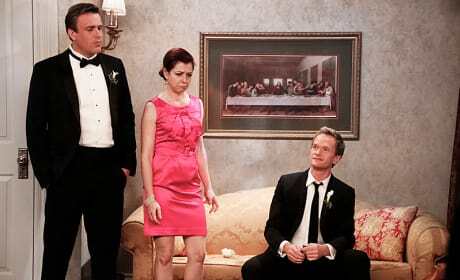 We're inching closer to the How I Met Your Mother wedding.